This release is the last that we will get from THE GATHERING with Anneke on the vocals. As you probably know sweet Anneke decided to step down from the band after almost twelve years and form AGUA DE ANNIQUE to explore new musical territories. So, A Noise Severe is a perfect way to close this chapter and sum things up. The first complaint and as you'll discover the last is the fact that the CD comes as a separate release from the DVD. The DVD comprises two discs; the first contains the concert in Chile that featured nineteen songs while the second one presents some bonus material. You can realize from the very first notes of Shortest Day that opens the show why the band chose Santiago to make the live recording, The fans are something more than enthusiastic and in some points get really loud, an effect that really gets you un the front lines with them. The picture is clear without any pixel effect but is a little bit dark something is possibly due to the average lighting show of the concert. The concert was filmed with several cameras and the very good editing enhances the concert's dynamics. Of course, the spotlight is on Anneke who gives a live performance with the constant and dare to say trademark smile on her voice. Yes, we will definitely miss her from THE GATHERING and yes we will follow her steps with AGUA DE ANNIQUE even though it's not Heavy Metal. I really enjoyed Saturnine (two thumbs up for the Chilean fans), the atmospheric almost depressive Alone and I joined the fans in the excellent Eleanor that comes from Anneke's debut with THE GATHERING Mandylion. I could not forget Strange Machines where the band and the fans (who sing ever single lyric) get really motivated especially during the catchy and uplifting guitar riff where relentless Anneke simple screams Sandiago!. The hearty setlist clocks 130 minutes and will definitely satisfy every THE GATHERING fan. 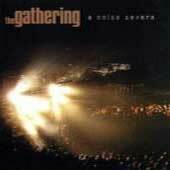 The concert closes with Travel that belongs to my favorite THE GATHERING album How To Measure A Planet? that reached my hand in 1998. The second disc doesn't contain something really fancy apart from some video clips and the classic making of. I found really interesting the Homemade video where you can really follow the band (from the initial discussions until the pre-listening of the album) in the making of the latest album Home. Of course you can only buy the CD and get satisfied by the catholic setlist that covers all the band's albums and the excellent sound quality. Until the next THE GATHERING album we can all enjoy the last Anneke's swan song with the band from the Netherlands.